Performed Sunday, November 12, 2013 - 7:30 p.m.
CCWS music director Duane Carroll and popular rock and jazz bassist Terry Miller and group teamed up to present an innovative program of rock favorites from The Beatles, Queen, Led Zeppelin and Deep Purple. Terry Miller currently tours with the Zac Brown Band. He has performed and recorded with Steve Miller, Debbie Harris, Jimmy Buffett, Emmylou Harris, Grateful Dead and many other popular groups. "Concerto for Group and Orchestra" was premiered by London's Royal Philharmonic Orchestra and the famed rock group Deep Purple. Its transcription for wind orchestra received its U.S. Premiere with the CCWS and Terry Miller and special guest artists - some of the Bay Area's top rock musicians. 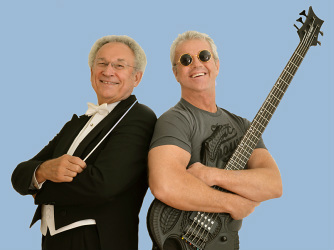 Several members of the organization Terry Miller founded, "Terry's Kids", performed music of Deep Purple. 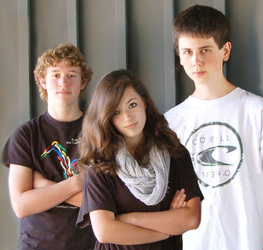 "Terry's Kids" consists of talented youth musicians trained by Miller and his educational organization.